Traditional Koi ponds are known to be very plain and simple in design. They will have all the bells and whistles when it comes to equipment but not to much to look at, as far as the pond. Which is actually the plan. All the focus is suppose to be on the beauty of the Koi not really the pond. 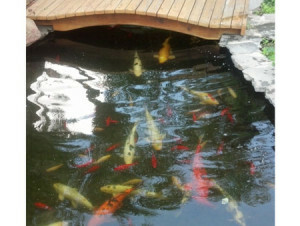 More and more traditional pond contractors are encouraging their customers toward a more hybrid Koi pond. 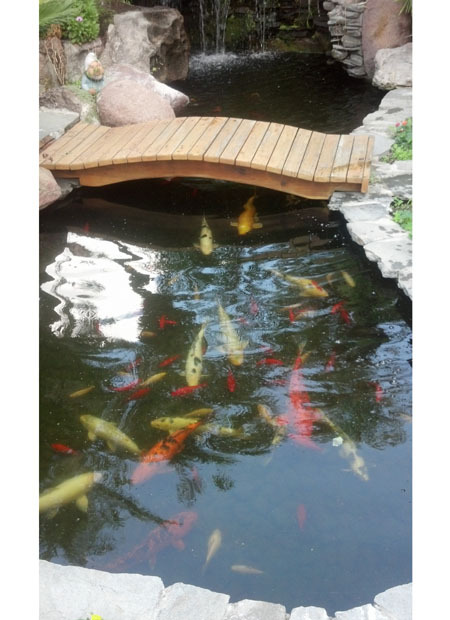 This may include some shelves for aquatic plants or even a beautiful bridge to enhance the look of your custom Koi pond.